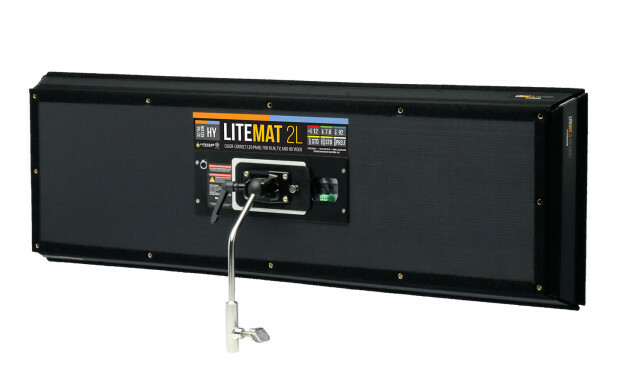 The LiteGear LiteMat 2L LED kit is a portable, controllable soft light in a neat package. 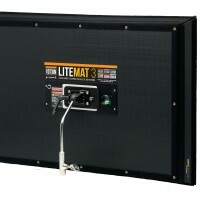 The 2L is the smallest of the three LiteMat products we carry. A colour-correct light source that is both lightweight and sturdy, the LiteMat 2L is a bit different. Evenly spaced, colour-correct LEDs spread over the surface create soft light that doesn’t need diffusion. This “soft-through-pixelisation” gives light that is surprisingly bright, less than 2cm thick and weighs just 1.58kg. The LiteMat 2L can be used as a keylight if you want to mount it on a c-stand or stick it to a wall with adhesive-backed Velcro®. Or use it as a handheld fill light or mount it above your subject. 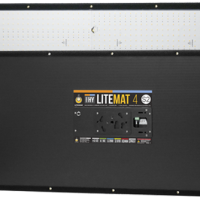 As a hybrid The LiteMat 2L can give either tungsten or daylight quality light at Kelvin temperatures that between 3200 and 6000K. This light is precisely calibrated to give you white balance without filters. The LiteMat 2L kit includes a dimmer switch to give you granular control of colour temperature and let you set brightness levels with the touch of a button. Our LiteMat 2L LED kit comes with a polyproplyene skirt to prevent light loss and as a handy way to attach the 3 diffuser options. There’s also a parasquare louvre made of aluminiumised plastic that forms an eggcrate. The head unit of the light comprises 576 genuine VHO Pro LEDs covered by a thin, clear polycarbonate layer and bordered with Velcro® “loop” fastener. This makes it both robust and reliable. Litegear have included a removable, Kino Flo®-compatible, gimbal mount that you can use with any stand. LiteMat 2L LED kit Downloads. thanks for forwarding on information about the LiteMat 2L LED kit.